If your kids are anything like ours, they could spend hours constructing blanket forts in the living room — hauling in their pillows, flashlights, snacks, etc. and cooking up some elaborate imaginative adventures. Even on visits to local parks, they are quick to climb a tree and claim it as their “fort”. 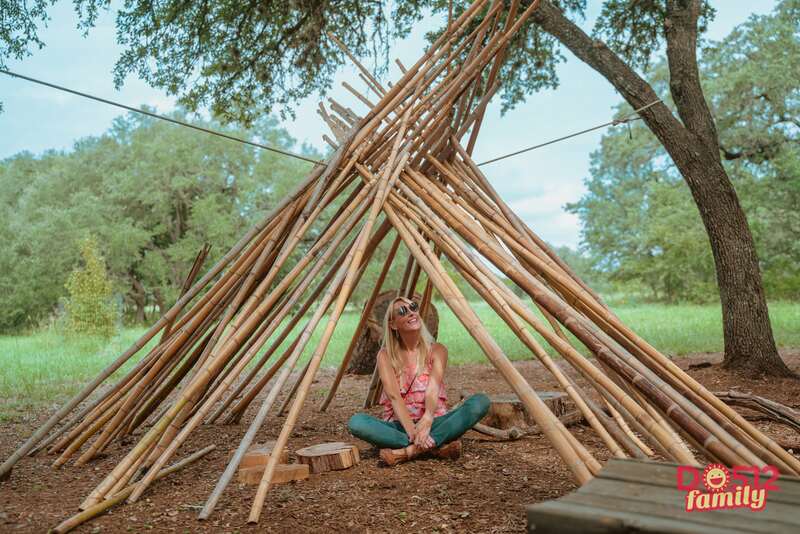 For kids, there’s nothing more exciting than these ultimate hideouts to spark wild stories and pretend play. 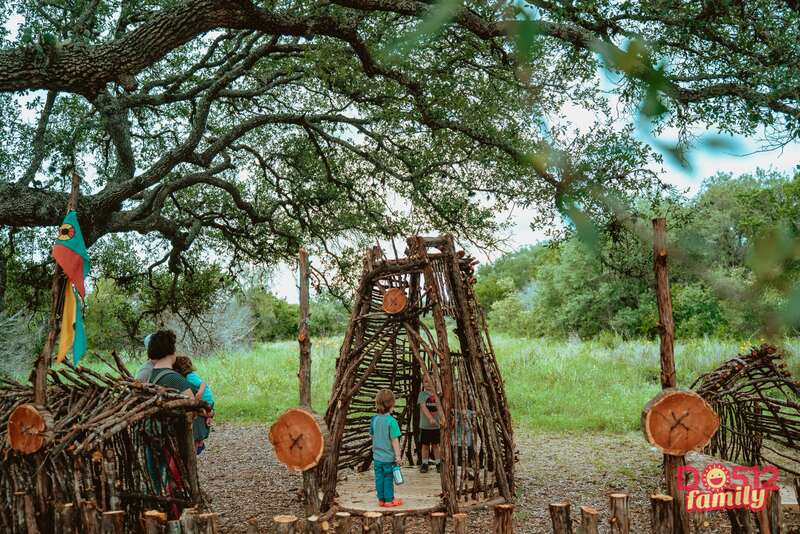 When we first heard that the Lady Bird Johsnon Wildflower Center was opening up an exhibit called Fortlandia, we just couldn’t wait to see what it was all about! 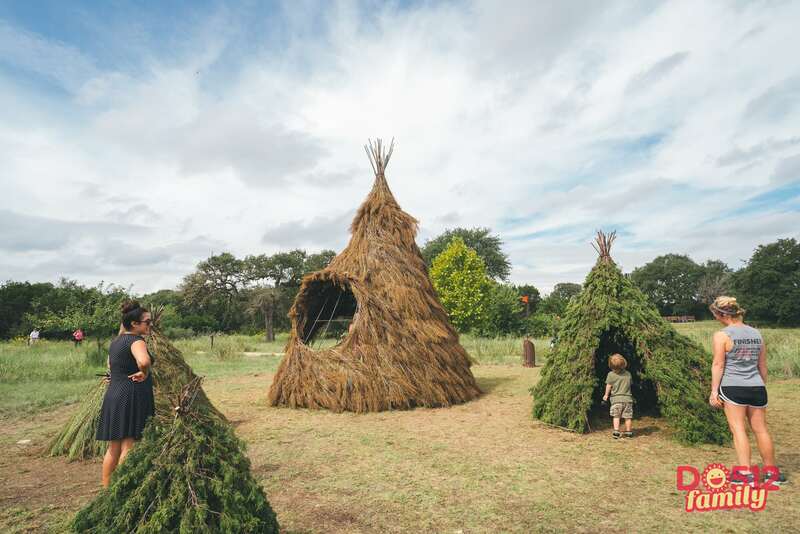 The Fortlandia exhibit is located in the Wildflower Center’s Arboretum and is open daily through February 2019. 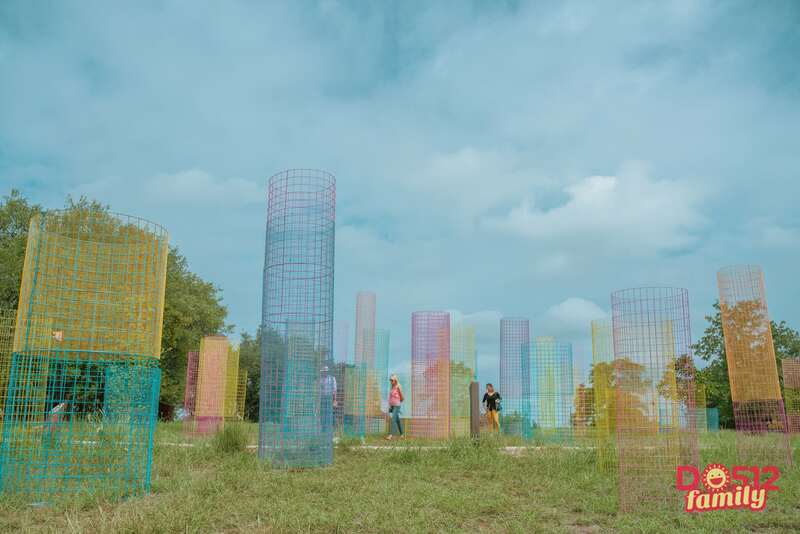 You’ll find ten unique forts on a one-mile, stroller-friendly loop that were all designed and built by local architects, designers and artists, as well as students from The University of Texas at Austin School of Architecture. 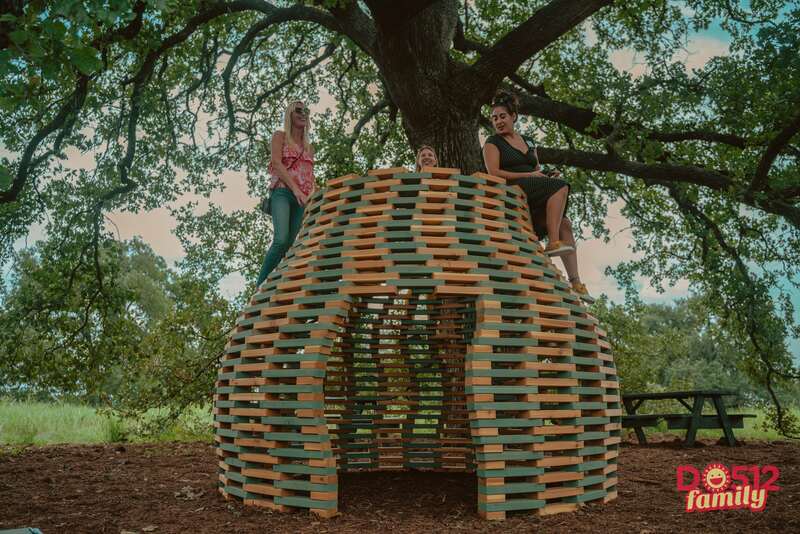 These creative, whimsical spaces were constructed to spark an appreciation for art and nature — and the wonderful ways in which they intersect. 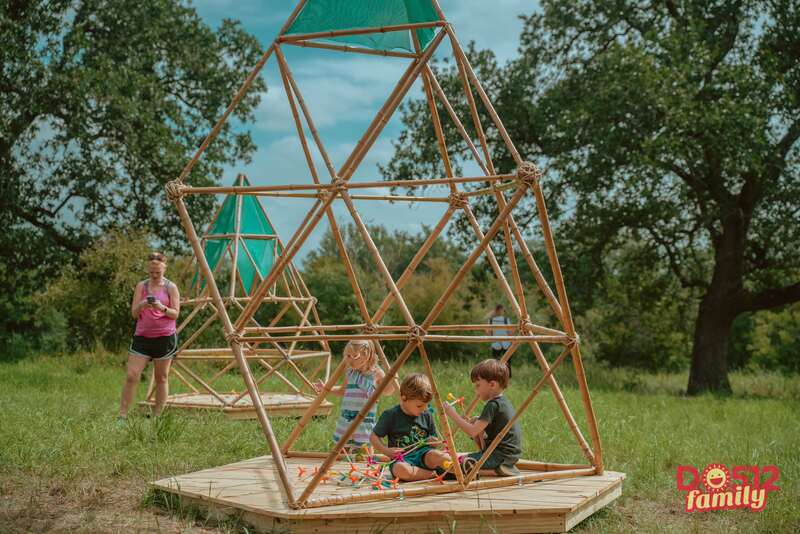 Not only can you appreciate the design esthetic of each, but you can actually PLAY in the forts. Let the kids climb, run through them, make up stories about each fortress — and even play piano in one! Each fort is very different from the next. With some you’ll find ways to build and manipulate the forts. With others, you’ll just feel like you’re in a far away hobbit house or traveling to a rainbow city. 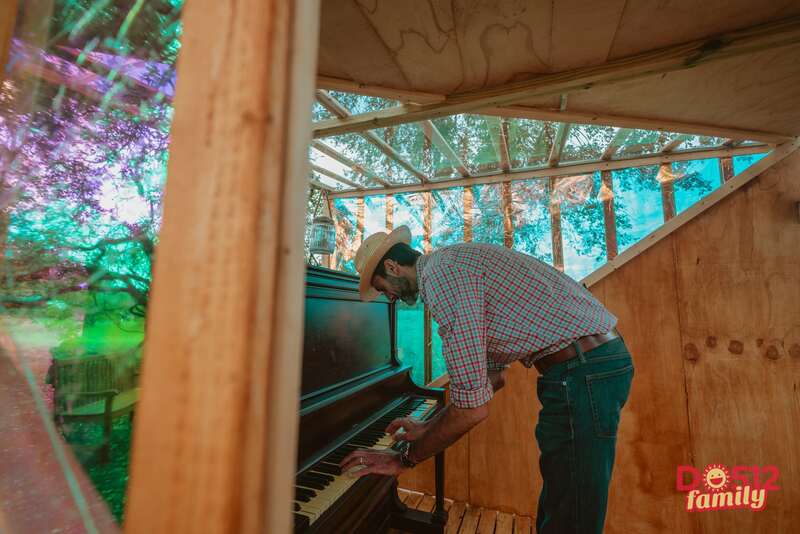 We invite you to “walk with us” through this visual gallery of Fortlandia below, taken by our Head of Photography, Roger Ho. Then pick out a date to take your family to explore the forts in person. 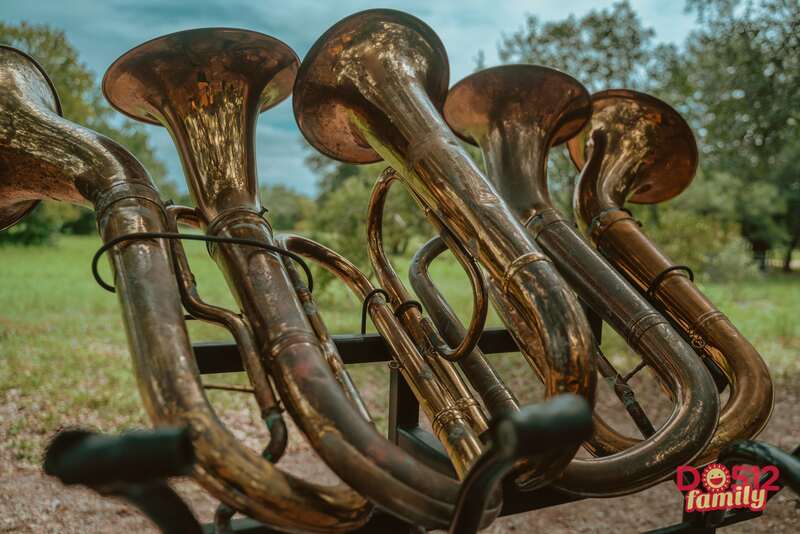 We think you’re really going to love it! 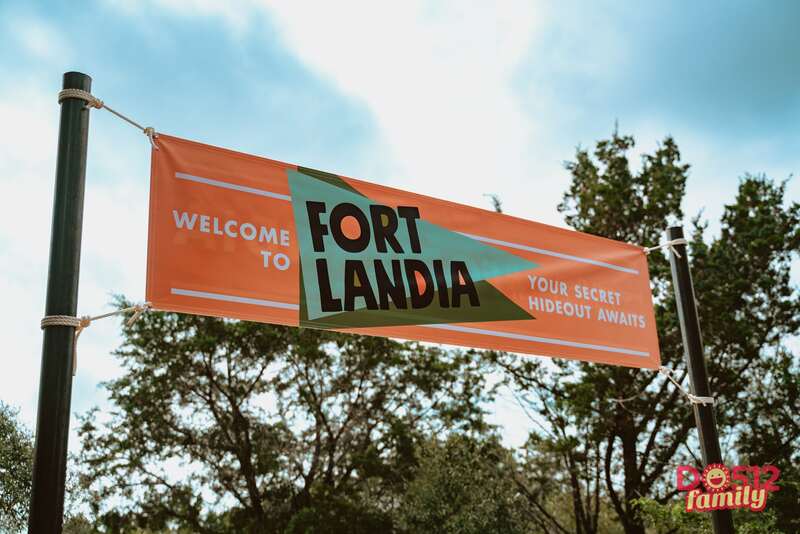 More About Fortlandia & the Wildflower Center: Entry to Fortlandia is included with regular admission: $12 for adults; $10 for seniors; $6 for kids ages 5 – 17; Free for kids ages 4 & under; Free for Members. 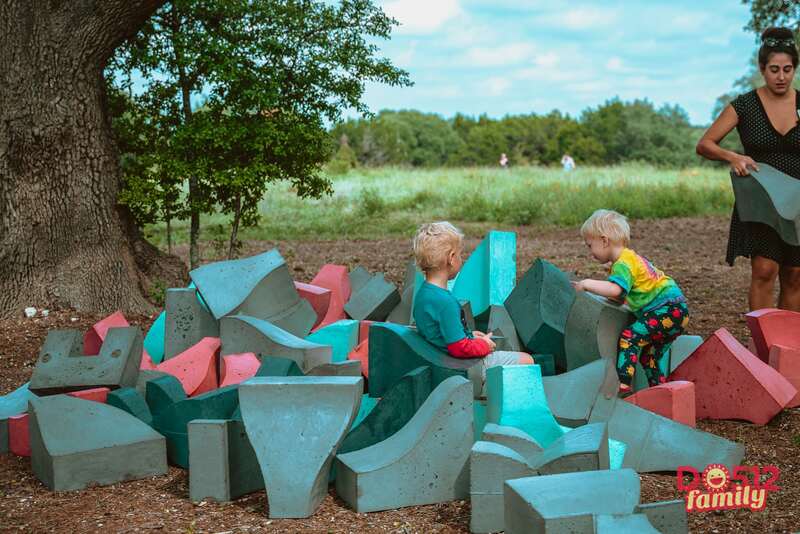 The Wildflower Center is open daily from 9 a.m. – 5 p.m. Click here to learn about each of the fort designers and sponsors of Fortlandia. For more information to help plan your visit to the Wildflower Center, please visit www.wildflower.org.